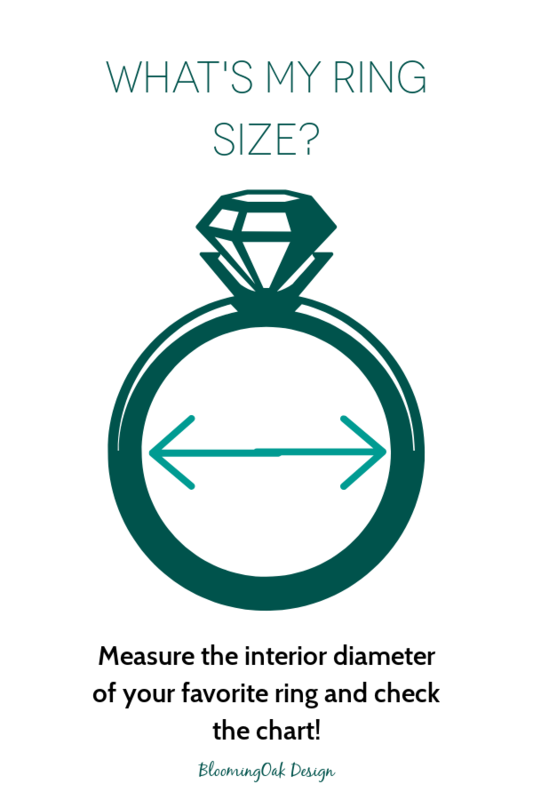 Don't know your ring size? No worries. Here's an easy way to figure it out. Just grab a favorite ring and measure the interior diameter. You can use either inches or millimeters. (I recommend millimeters since it more easily provides greater granularity.) Cross reference this measurement against the table below and - tada! - you have your ring size. Of course, there are many sizes in between whole and half sizes. 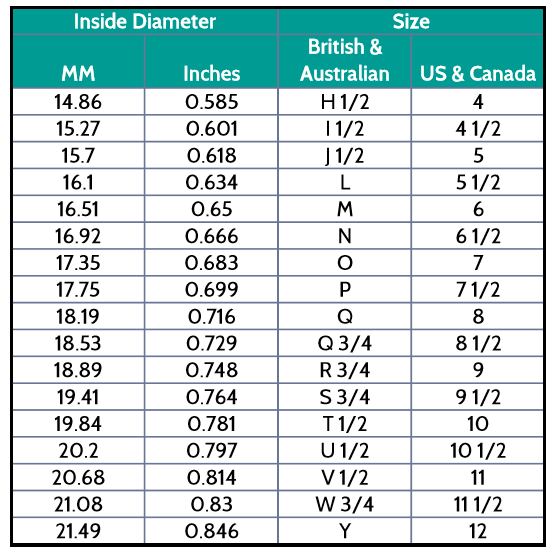 If you want to be more precise, you can reference this more detailed ring size conversion chart. My 2018 holiday gift guide has been published! Check it out here. 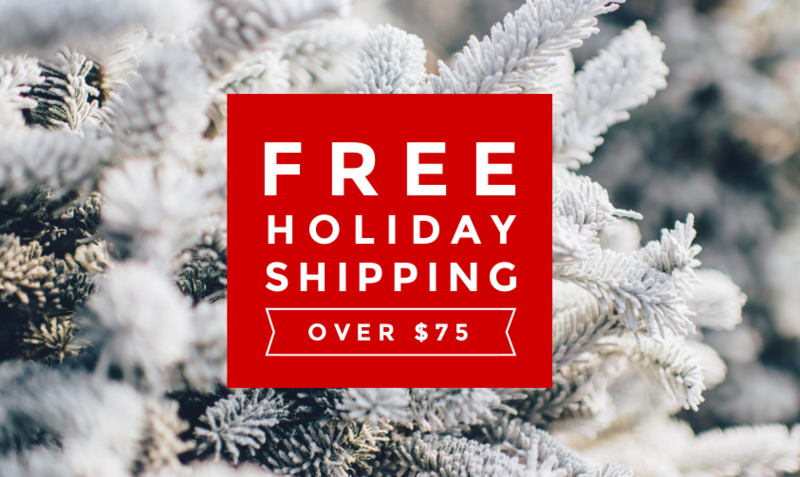 I've included some of my own favorites as well as some complementary items from other shops. Enjoy and feel free to social share! and any special requests and what you would like on the card.